Set about 20 hazelnuts aside then place the remaining hazelnuts in a food processor and blitz to a fine consistency. Add two heaped tablespoons of cocoa powder and a heaped tablespoon of honey then blitz until fully combined. When you blitz the nuts, they will release their natural oils so you don’t need to add coconut oil to these treats. Stop the food processor and have a taste. 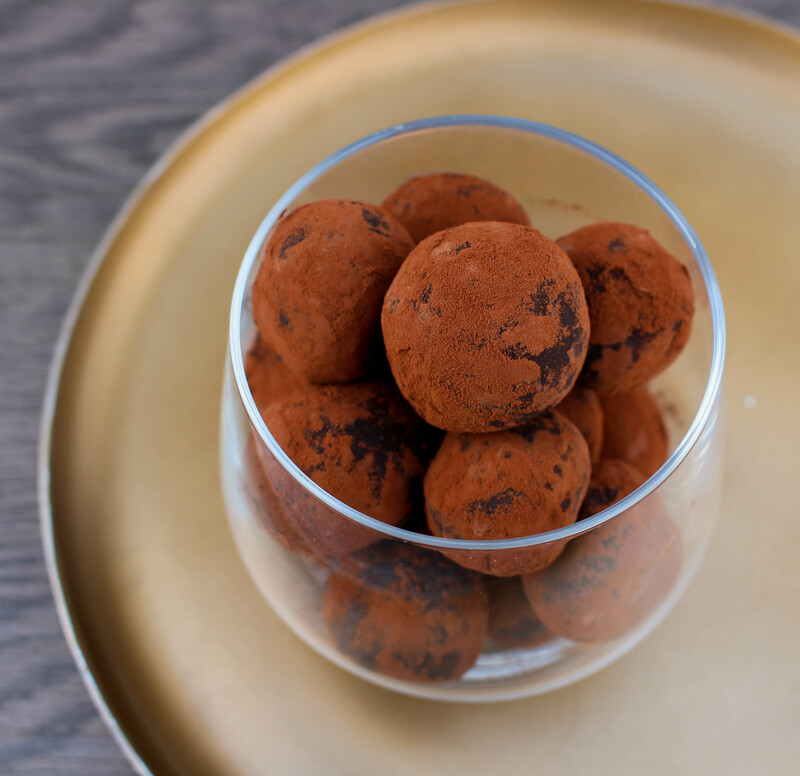 If you want your truffles to taste more chocolatey then add some more cocoa powder and if you want them sweeter add some more honey. Blitz and taste as you go until you find the right amount of chocolate and sweetness you like. Take a small ball of the mixture in your hand, place a whole hazelnut in the center then roll the mixture into a ball, completely encompassing the hazelnut within. Roll the ball in some cocoa powder and repeat this process with the remaining mixture. Allow to firm up in fridge and enjoy!